U.S. corporations can choose to be taxed at the corporate level or at the shareholder level. Those that elect the shareholder option are called S corporations. The letter "S" in refers to the Subchapter S of Chapter 1 of the Internal Revenue Code. The corporation still files its own corporate tax return and measures its taxable income, but this taxable income is then divided and distributed among its shareholders. Various deductions and tax credits also pass through to shareholders. Each includes his portion of the corporate income, deductions, and credits on his personal tax return. No income tax is applied at the corporate level. Instead, all income is taxed using the personal income tax rates. According to the IRS, "S corporations...elect to pass corporate income, losses, deductions, and credits through to their shareholders for federal tax purposes. Shareholders of S corporations report the flow-through of income and losses on their personal tax returns and are assessed tax at their individual income tax rates. This allows S corporations to avoid double taxation on corporate income. S corporations are responsible for tax on certain built-in gains and passive income at the entity level." A corporation that chooses to be taxed at the corporate level is called a C corporation, and it files its own corporate tax return. It measures its taxable income and calculates its tax according to corporate tax rates. When C corporations distribute profits to their shareholders in the form of dividends, these dividends are taxable income to the shareholder. S corporations are responsible for paying three taxes at the corporate level: excess net passive income, the LIFO recapture tax, and built-in gains tax. The excess net passive income tax and the LIFO recapture tax only apply when an S corporation was previously a taxable C corporation, or if the S corporation went through a tax-free reorganization with a C corporation. Excess net passive income is a corporate-level tax on the passive income earned by an S corporation. Passive income includes income from interest, dividends, annuities, rents, and royalties. The excess net passive income tax applies if passive income is more than 25 percent of the S corporation's gross receipts. The IRS provides a worksheet for calculating this excess net passive income tax in its Instructions for Form 1120S. "LIFO" refers to the last-in, first-out method of measuring inventory for tax purposes. According to the IRS, LIFO recapture tax applies if "the corporation used the LIFO inventory pricing method for its last tax year as a C corporation, or a C corporation transferred LIFO inventory to the corporation in a nonrecognition transaction in which those assets were transferred basis property." You can refer to Income Tax Regulations Section 1.1363-2 for more information on the LIFO recapture tax. Built-in gains tax applies when an S corporation disposes of an asset within five years of acquiring that asset, and the S corporation either acquired the asset when the S corporation was a C corporation, or it acquired the asset in a transaction in which the basis of the asset was determined by reference to its basis in the hands of a C corporation. 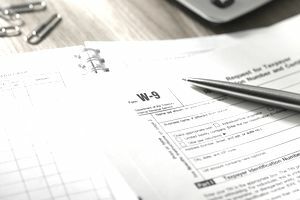 Part III of the Instructions for Schedule D for Form 1120S explains this tax in more detail, as do Internal Revenue Code Section 1374 and the Income Tax Regulations Section 1.1374-1. The term "pass-through" simply means that income and other tax items flow from the corporate return to the personal tax returns of the shareholders. As an example, let's suppose that ABC Corporation is an S corporation and has a single shareholder, John Doe. ABC has net taxable income of $100,000. That one hundred thousand dollars is reported from the corporation to the shareholder, Mr. Doe, on Schedule K-1. Mr. Doe then takes this amount from Schedule K-1 and reports it on page 2 of his Schedule E. He adds this income to the rest of his income on Form 1040. Pass-through treatment means that items of income, deductions, or credits retain their character as they flow from the S corporation to the shareholder's personal tax return. If the S corporation sold some assets that qualify for long-term capital gains treatment, that income is reported as long-term gains on the Schedule K-1 from the corporation to the shareholder. The individual shareholder would then report this income on his Schedule D as long-term gains. Now suppose an S corporation donates money to charity. That item is reported as a charitable donation on the Schedule K-1. The shareholder would report his portion of the charitable donation as an itemized deduction for charity on his personal return. The pass-through treatment of tax items requires that all the items of income, deductions, and tax credits are handled in the appropriate way when these items are reported on the shareholder's personal tax return. The Tax Cuts and Jobs Act slashed the tax rate for C corporations from 35 percent to 21 percent as of 2018. Meanwhile, shareholders in an S corporation still pay a tax rate commensurate with their personal income, according to their own tax brackets, and this can be higher than the corporate rate. A single taxpayer pays 32 percent on taxable income in excess of $157,500 in 2018, and this increases to 35 percent for single taxpayers on income over $200,000. Not fair? The TCJA agrees. It establishes a new deduction for owners of pass-through businesses of up to 20 percent of net business income. S corporations and their shareholders qualify for this deduction.